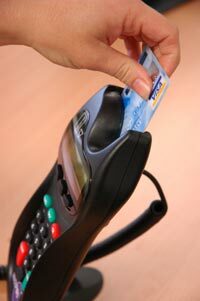 The seasonally adjusted value of electronic card transactions in core retail (which excludes the motor vehicle related-industries) increased 0.5 percent in July 2011, Statistics New Zealand said today. Despite this increase, the value of total transactions was flat (up just 0.2 percent). There were rises in all core retail industries in July 2011, with hospitality (which includes accommodation, bars, cafes and restaurants, and takeaway retailing) the main contributor to the increase in the core retail series. The value of transactions in the hospitality industry was up 1.5 percent in July 2011, and there have been consistent increases in this industry since March 2011. When the two vehicle related-industries are included, the value of transactions in retail increased 0.4 percent. Fuel retailing was down 1.4 percent in July 2011 after falling 3.7 percent in June and 4.6 percent in May. These falls came after eight consecutive monthly rises and coincided with a recent decline in fuel prices. When the two industries outside of retail (services and non-retail, both up 0.3 percent) are included, the total value of electronic card spending increased just 0.2 percent. Trends for the value of transactions in the total and retail series have been increasing since January 2009. The core retail trend has generally been increasing since the series began in October 2002, with the rate of increase strengthening since December 2010.